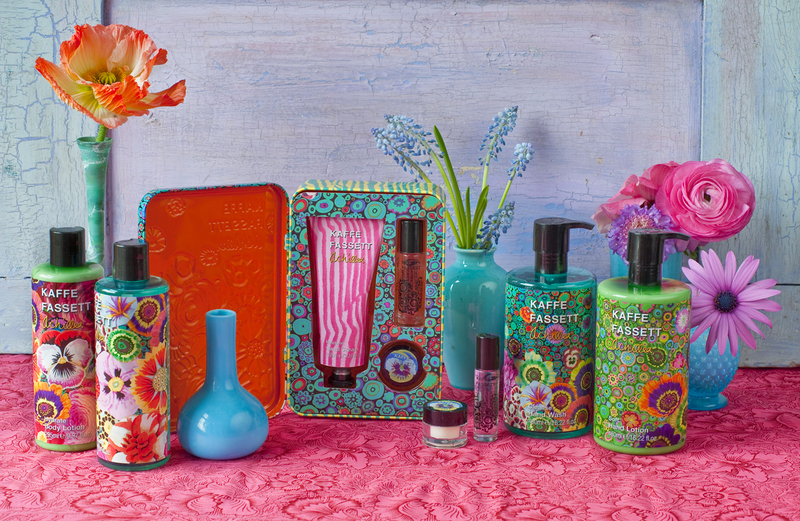 For the first time, Kaffe has collaborated with Heathcote and Ivory to create a range of fragrance and beauty products. His two collections, On Point and Achillea encapsulate his colour-rich designs and the highest quality natural ingredients to create these unique skincare products. Heathcote and Ivory have captured Kaffe’s colourful world in a new and exciting way. The On Point capsule collection explores his geometric designs and floral patterns through the contemplative craft of needlepoint. 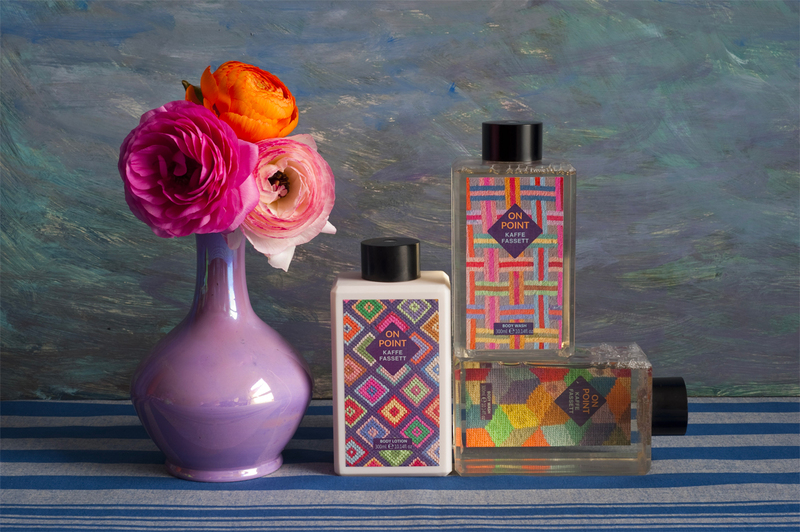 Kaffe has collaborated with Heathcote and Ivory to create a bespoke fragrance range, from lotions and hand wash to scented candles and a make-up bag. Orange blossom, fresh green leave and uplifting notes of bergamot and oleander, with warming fig and cedarwood create a long-lasting bouquet of blooms.